It’s the last Sunday of the month, so that means it’s time for the slightly-longer Sunday morning bike club ride. This is our chance to go places that are a little farther away than normal. So today’s ride was out to Hillside Memorial Park in Culver City, to pay respects to Ruth and Elliott Handler, who were the founders of Mattel Toys. They are respectively credited with inventing the Barbie doll and Hot Wheels. Even though those are just toys, they made a mark on the world. We had a smallish group today. It was forecast to be hot, and I think that scared some people off. The route took us through downtown Los Angeles, and then out along West Adams, roughly paralleling the new Metro Expo line. We got to see it along the way. It’s coming along nicely, and it will probably be ready to open pretty soon. 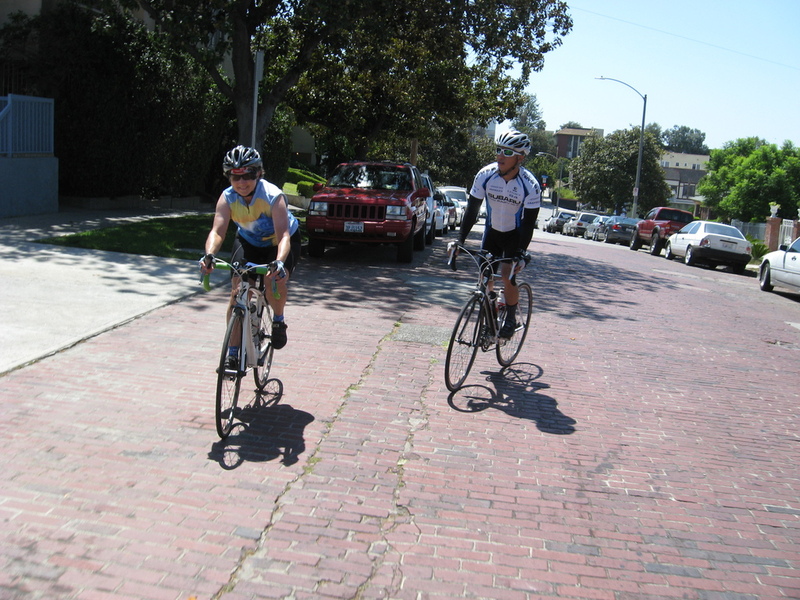 In Culver City, we saw the hill with the Culver City stairs. A lot of the competitive stair climbers I know practice there. 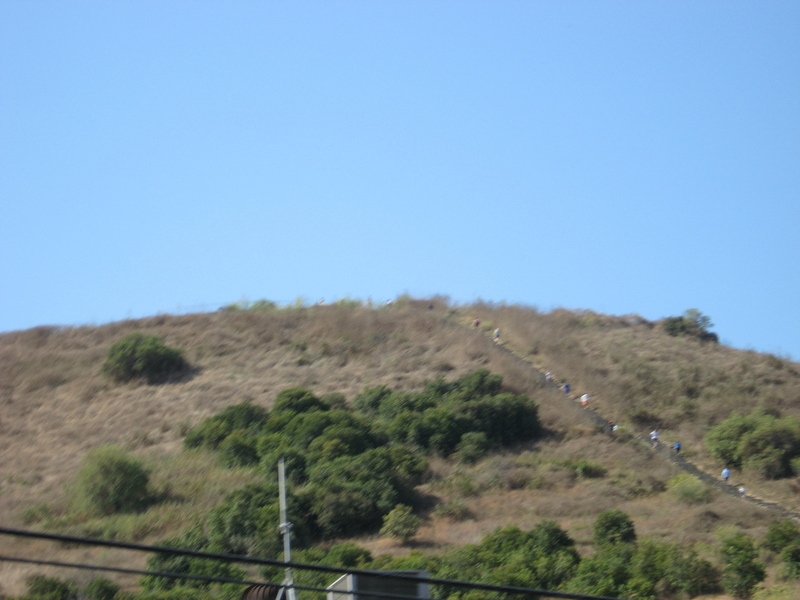 By the number of people going up there on a Sunday morning, it looks like a popular place. 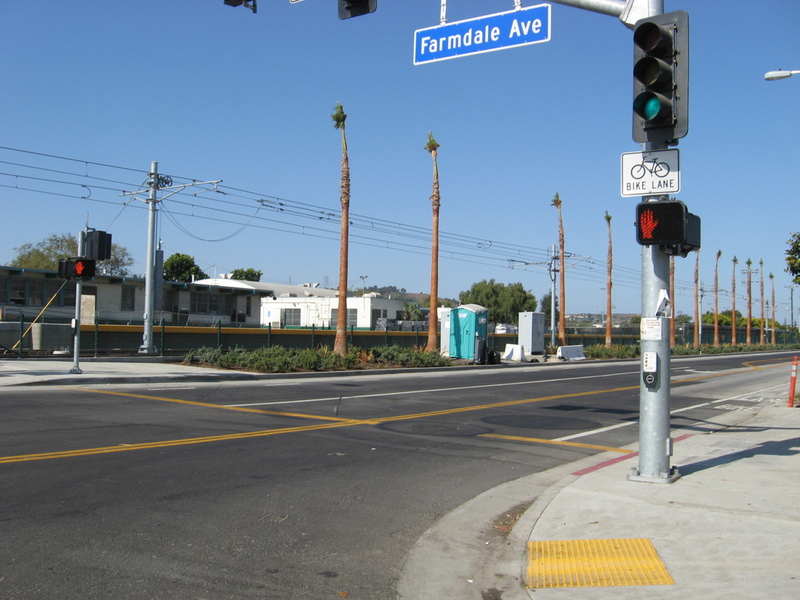 There was construction on Sepulveda Blvd down near Fox Hills Mall. That was a bit unpleasant. But we made it to Hillside Memorial Park just fine. The Handlers are buried in the far back of the cemetery. Elliott died fairly recently, so he just had temporary marker next to Ruth’s. 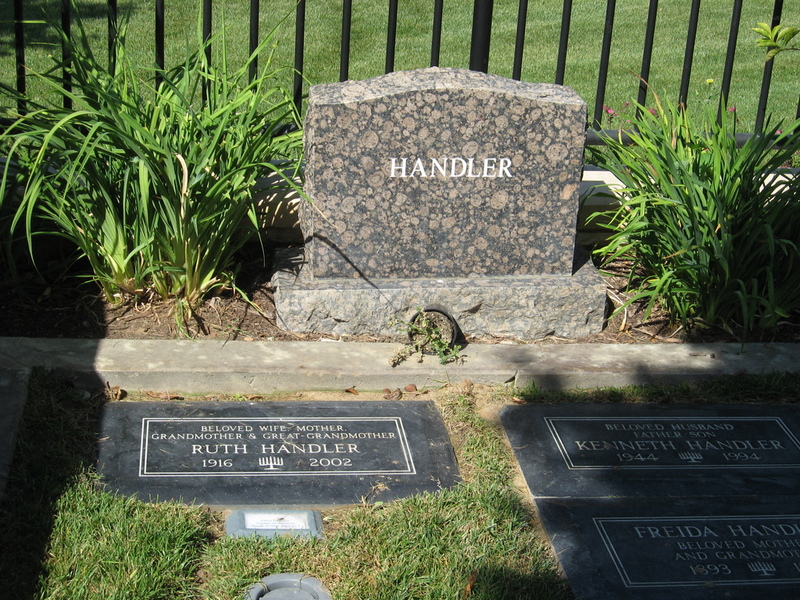 They are also buried next to their son, Kenneth, who was the namesake of the Ken doll. 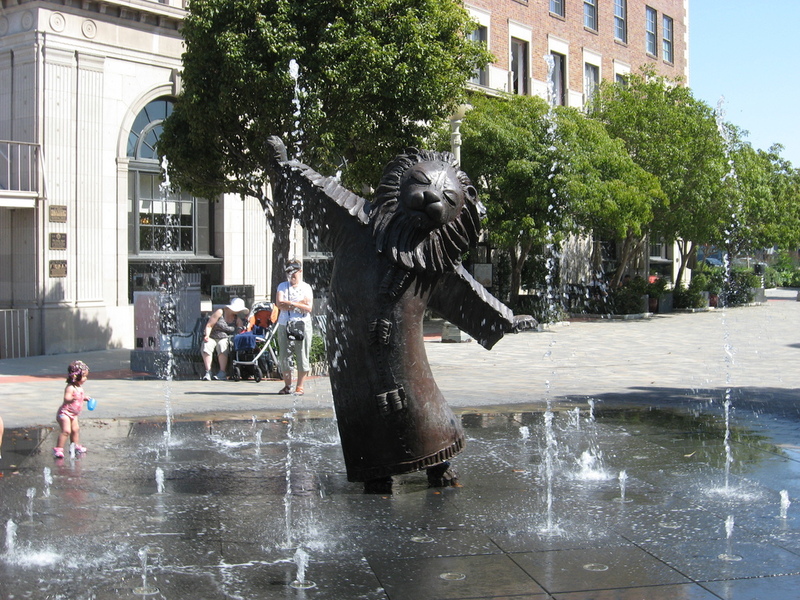 On the way back, we saw a fountain in Culver City that seems to be popular with little kids. 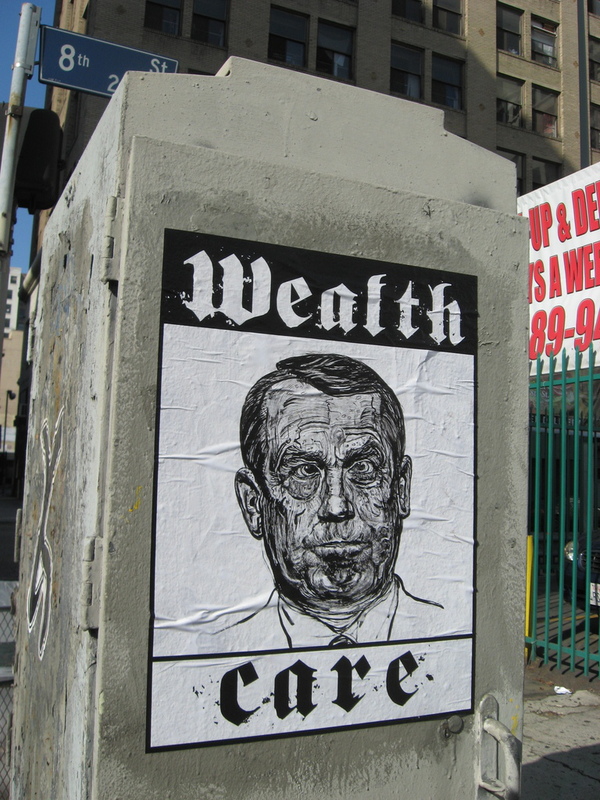 We stopped for a bagel at Noah’s on Venice Blvd. It had turned out to be a perfect day. It was about 76F, with a nice breeze off the ocean. We took a new variation of the route back this time, going on 4th St through Hancock Park. This allowed us to take a one-block side trip to see the House of Davids. There was an article in the Times recently about this. The owner wants to sell the house and move away. 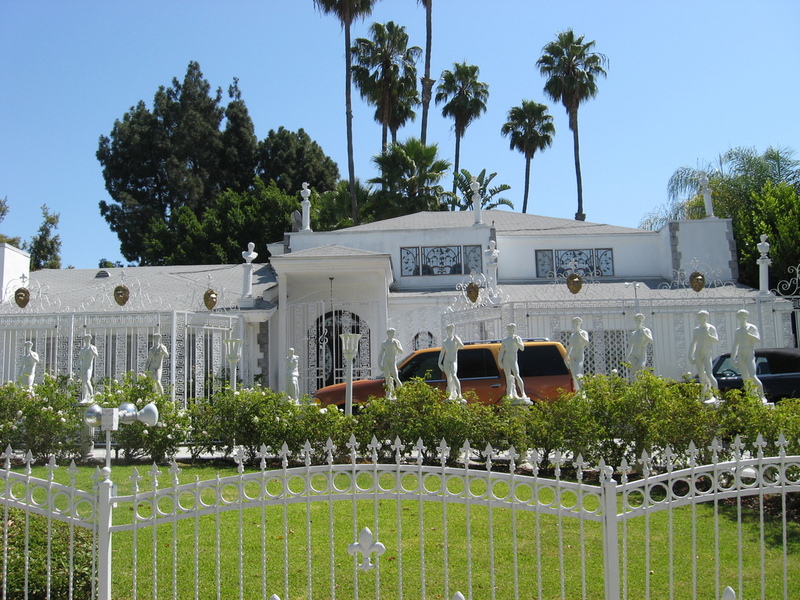 Apparently, he is dismayed that his house is more famous than he is. Go figure. As we got back to Pasadena, it got quite a bit hotter. But it was still below 100, so it wasn’t as hot as we’d been expecting. 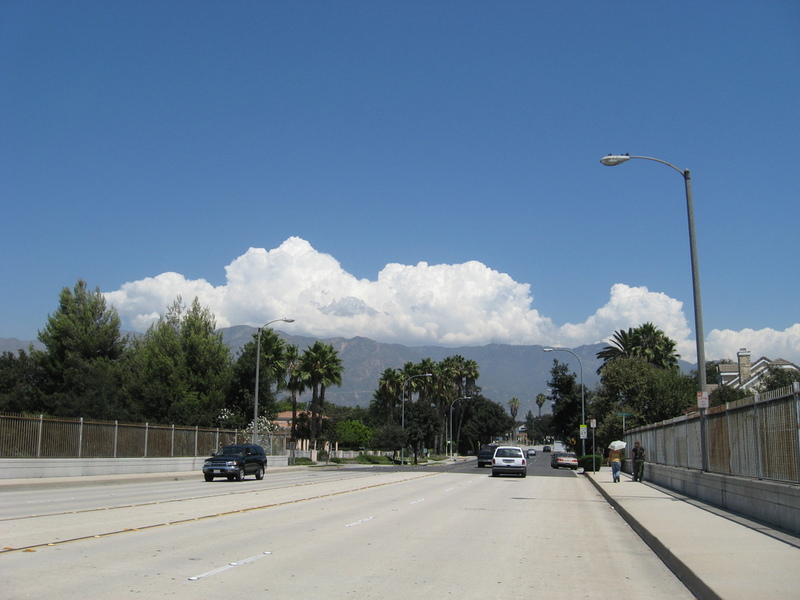 There were big thunderclouds up over the mountains, which is not unusual this time of the year. You linked to the 2nd of 4 videos PJ Glassey posted about the Culver City stairs (a.k.a., “Jefferson stairs” or “Baldwin Hills Stairway”). The 1st was in 2009, the 3rd later in 2010, & the 4th in 2011. I’m hoping there will be a 5th this year with Sproule Love! I’m sure there are more, but that’s a good sample of the top results from Google, & from these, it seems likely there are either 281 or 282. I rode my bike there today, & spent 2.5 hours measuring every single one (I had originally estimated it would only take about 20 minutes!). Due to the irregular, handmade construction of these steps, there is no absolute right/wrong set of measurements. I made my measurements in the general center of the steps, but even these are approximate due to the uneven surfaces, uneven edges, & in some cases sloping mud at the horizontal/vertical junction making it impossible to get an exact measurement. In most cases, however, my readings are accurate to within a quarter inch, though some can be off by a whole inch. After adding them up, my horizontal sum is 780 feet, whereas the Google Earth reading is 895 feet. My vertical sum is 246 feet, & Google’s is 273 feet (422-149). Why such a huge discrepancy? If I were to add an entire inch to each horizontal measurement, it would only add about 23 feet. Sorry, but there’s no way my measurements were off by several inches, with the possible exception of the longest landing that’s about 56 feet (I was using a 25′ tape). My vertical readings were far more accurate than the horizontal readings simply due to the shorter distances, & the level nature of the step, whereas the horizontal edges are very broken. So how accurate are the measurements using Google Earth? Well for general distances in terms of miles, they’re excellent. The problem with these step measurements is that the satellite is not necessarily directly over the steps, so there’s an unknown amount of skew. For example, yesterday I measured the 7 major staircases along the beach bike trail south of the Redondo Beach pier. When I got home & began documenting them, analyzing them in Google Earth, as I moved my cursor over the image of the steps, the altitude kept dropping even as I was positioned over the more-than-6-foot-wide bike/ped path, which is almost perfectly flat. I mentioned earlier that I’d return to the 375′ marker. It’s embedded in the center of the next-to-the-top landing, & you can see photos of it here. I have to believe a semi-competent surveyor installed that marker at that level rather than at the top landing or a lower one for sound reasons. But guess what that level is according to Google Earth when you zoom in on it? 401′. Those who think California is sinking or that Global Warming is causing the seas to rise should investigate this! It’s worth mentioning that the first 68 steps are all over 8″, averaging around 13″. A typical skyscraper step is 11″ horizontal (actually 12″ with a 1″ overhang), 7″ vertical. It takes 421 of those to reach the 246′ height of this outdoor staircase (6300 Hetzler Rd, Culver City CA 90232).